This week Chris and Cody the Sick decided to go into the woods (cue Sondheim), those dark and dismal haunts of your nightmares. 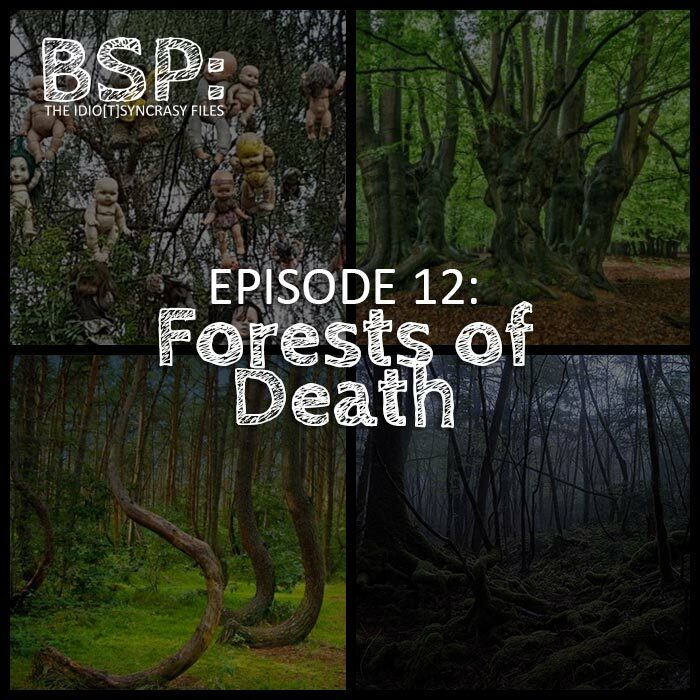 We are talking about forests that are well known for deaths, suicides, hauntings, and other supernatural activities. Chris shows off his Mexican-ness with talk of La Isla de las Muñecas. Cody talks about murdering Chris and his cat in Epping forest. They also discuss Hoia Baciu and Aokigahara (Japan’s Suicide Forest) which are both to be said the most haunted forests in the world. BS Weekly discusses some weird and bendy trees. This week’s drinks of choice are: Ghost Pines Merlot, Tisdale Moscato, and Simply Orange Mango/Orange Juice.